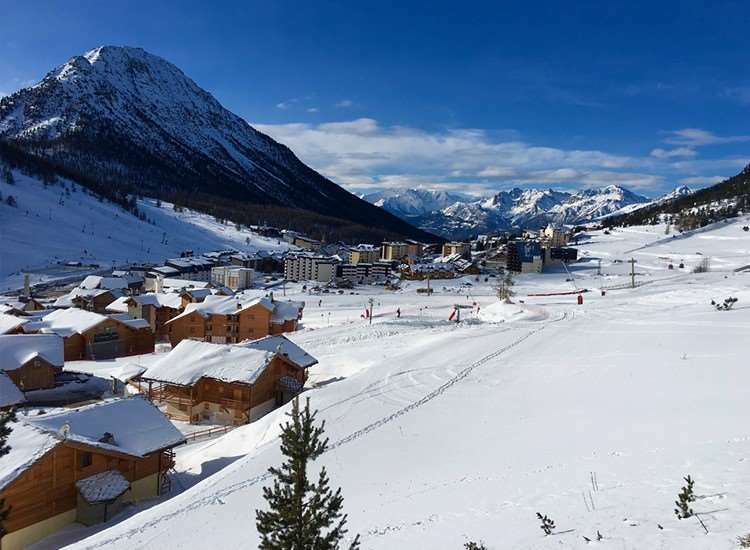 With a laid-back atmosphere and mesmerising scenery, Montgenevre remains one of the top options for visitors looking for a relaxing holiday in one of the most picturesque areas of Europe. Montgenevre is an attractive alpine village. 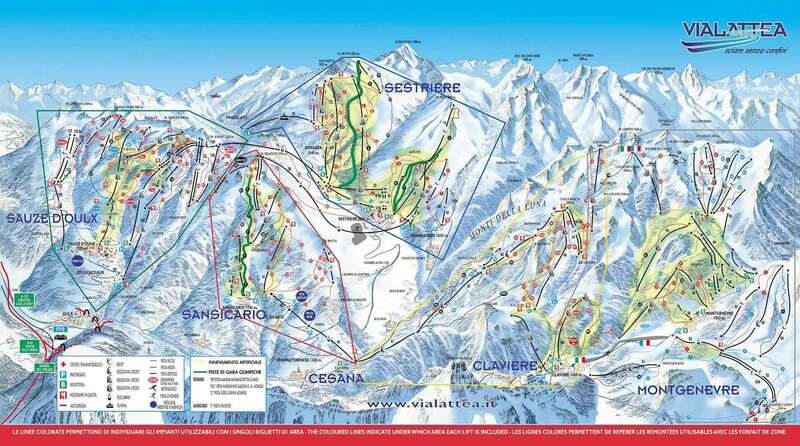 There is a good range of local skiing, particularly well-suited to beginners and intermediates and then the links to the Milky Way ski circuit over the Italian boarder offer more for the advanced skier with access to 400 kilometres of piste. For boarders there is a snowpark in Montgenevre, plus two open bowls in the Milky Way, and some excellent free-riding terrain. What’s more, nearby alpine forests provide a magnificent backdrop for skiers. The village centre is both traditional and compact, with many of the accommodations nearby to the shops. With simple accessibility and plenty of facilities, it makes for a wonderful family resort. Club Hotel Rois Mages is a fantastic budget option for a ski holiday in France. The hotel is located just opposite the slopes for fast access to the amazing ski area first thing in the morning. Chalet Genepy and Chalet Rocher de l’Aigle are chalets located just outside of the main area and are a brilliant option for groups of 13-15 looking for a sole occupancy chalet. While many of the runs are properly manicured to ensure the smoothest possible surface, there is a great learning curve here to ensure people can develop their skills by trying routes of different difficulties. With a fantastic split of runs for beginners, intermediates and advanced skiers, there are plenty of amazing options for skiers of all abilities. Set at an altitude of 1850m with 100km of piste, there is an extraordinary range of options for visitors. As runs go through winding forests and across stunning hills, Montgenevre provides both amazing skiing and fantastic landscapes. With a total of 59 slopes and easy access to the 400km of runs at the Milky Way, it is easy to see why Montgenevre remains one of the best mixed ability resorts in Europe. The ski season in Montgenevre runs from December to April and there are snow cannons available to ensure excellent conditions for visitors. There is a wide selection of restaurants available across Montgenevre, ranging from budget pizzerias to sophisticated eateries. You can even take advantage of specialty food evenings, where visitors can take a skidoo up a mountain and sample some of the area’s top Italian food. After you have spent a long time on your feet, the Tahitian Message centre is a fantastic place for a spot of relaxation. Apres-ski is informal with several good bars and a couple of discos. Montgenevre is not as lively as some of the larger Franch resorts, but there is plenty to keep you entertained. Montgenevre is a fantastic place to ski for all levels of skiing. Hotels and lifts are very convenient to get to. It is a small quiet village with everything you need. This was my first visit but will be going back again. We had a brilliant week. There was Fab snow, a ski in/out chalet close to main lift. Some of runs rather optimistically graded red/black! This is a quiet resort - not for those wanting lots of nightlife. French signage is a dream compared to the neighboring Italian villages!